With 30 years’ experience in the make-up industry Thomas Surprenant has a list of credits that are not only impressive but have deservedly earned him high acclaim. So far throughout his lustrous career Thomas has received 3 Emmy nominations and won the award twice. Celebrating excellence in the television industry, he picked up the honor for ‘Outstanding Individual Achievement in a Make-up Series’ for Star Trek: Deep Space Nine. 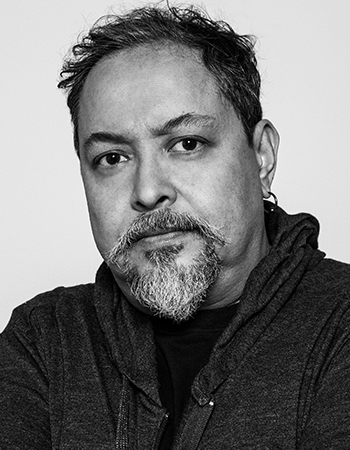 Based in California USA, he has worked on iconic pictures that have pushed boundaries in SFX make-up, with films such as X-Men: The Last Stand, Donnie Darko and Kalifornia. Surprenant is no stranger to working with Hollywood’s elite. Included in the list of stars that have sat in his chair are Brad Pitt, Hilary Swank, James Duval and David Duchovny. We are thrilled to include Thomas Surprenant in our line-up at Global Face Art 2018.